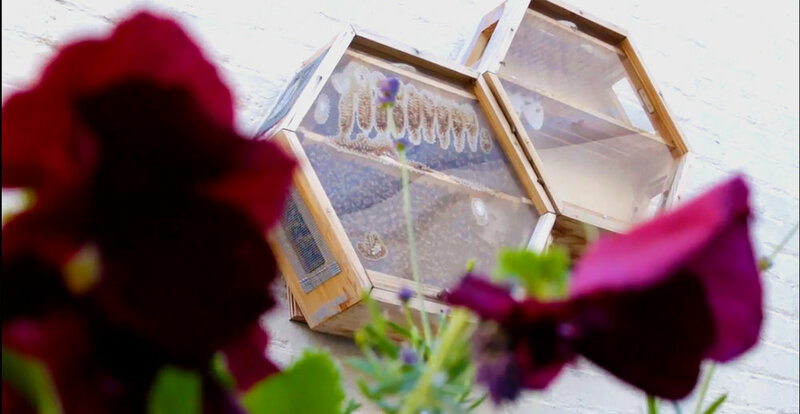 BEEcosystem is an observation honeybee hive designed to make pollinator education more accessible to everyone, from hobbyists to agri/ecotourism and institutional educators. Indoor/outdoor wall-mountable and modular, this hive can grow along with your colony inside. 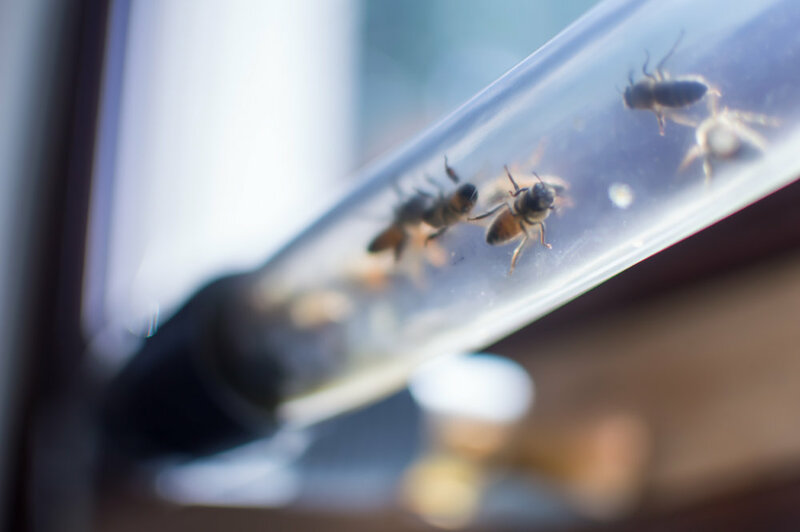 BEEcosystem's modularity offers a surprisingly familiar expandable solution for managing 'bee-space,' improving demonstrably upon prior observation honeybee hive maintainability. From our design perspective, we wanted to create an observation hive that intentionally provokes meaningful conversations about honeybees, especially engaging non-beekeepers and non-agricultural experts. In deliberately differing BEEcosystem from existing styles of observation hives, we celebrate a fusion of old and new ideas in apiculture: an emergent hive form, with a familiar removable top-bar hive frame functionality. Beginning in 2014, we prototyped and field-tested the expandable top-bar observation hive design for 2 years, overwintering in the 4-season climate of central Pennsylvania, USA, before beginning to sell the BEEcosystem hive commercially in Spring 2017. 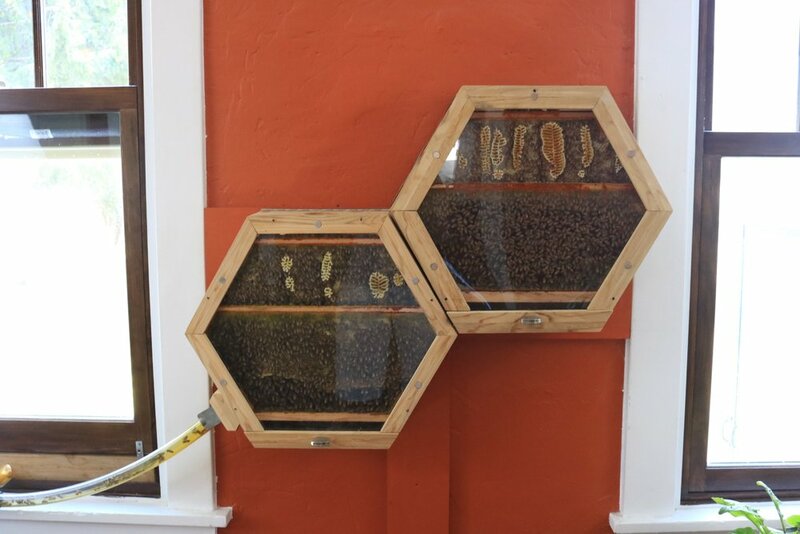 With a slim wall-mounted profile that can be incorporated into nontraditional beekeeping spaces and new kinds of observation displays, each BEEcosystem unit or "HexHive” box contains six top-bar frames from which bees build foundationless comb. 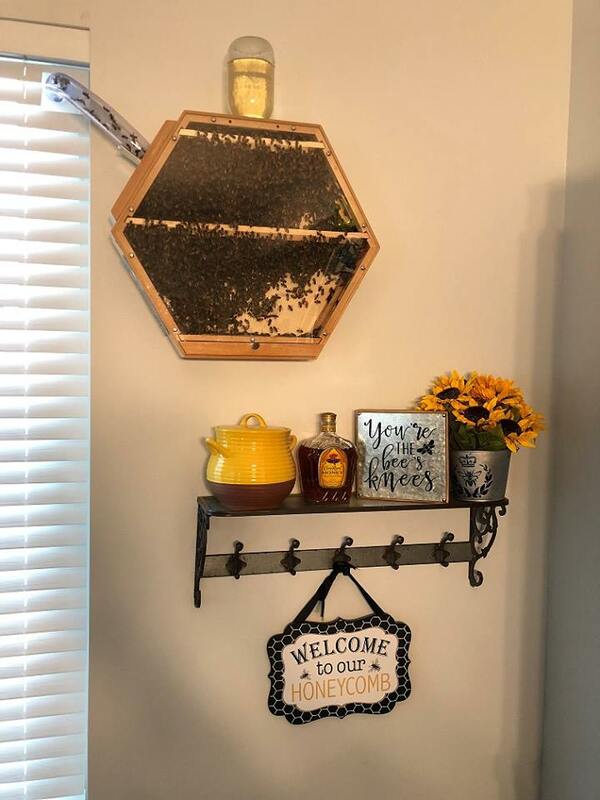 I couldn’t be happier...I plan on expanding the hexagons all the way down the wall as the hive grows. My kids love it and my friends and family are just in awe. Its a great conversation piece when guests come over. This hive is very low maintenance...after just a few days of being installed, my bees already have over 6 inches of comb jutting down from the top frames. Bring BEEcosystem into your home, business, or environmental education center.